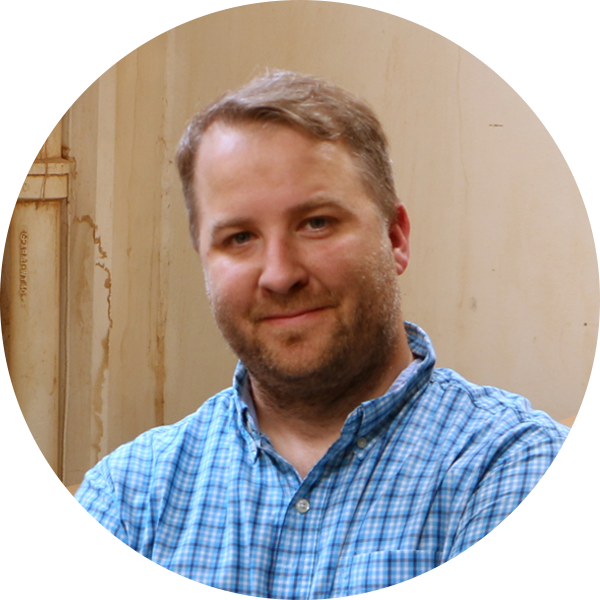 Nathan is a partner and director of product management at CNC Router Parts LLC, a company that supports individuals and volume production businesses with affordable industrial CNC machines, parts, software, advise, and accessories. Nathan enjoys engaging with customers, content partners, and designing and creating open source sample fabrication projects for the CNC Router Parts project library and YouTube channel. We need your expertise and advice to help us #cncmakeastand. 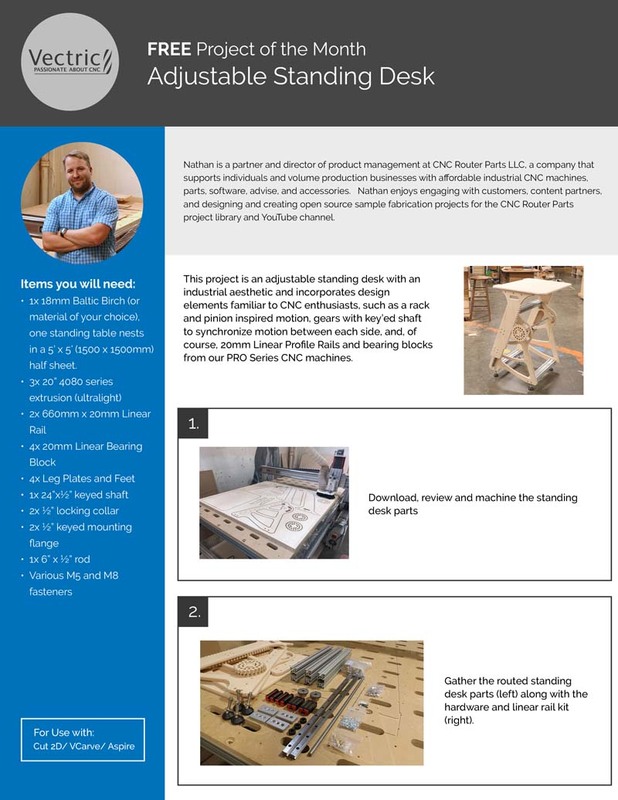 At our 2017 user group meeting one of our partners CNC Router Parts presented their adjustable standing desk project and very generously gave away the plans for the desk to be reproduced free of charge! We’re conducting an experiment to see if we can work with our awesome community to produce an improved design. Whether that be out of alternative materials and components, wire management, reduced cost or complexity, or other interesting features, we’re looking for the best ideas to make the standing desk more affordable for others to make and to serve as inspiration for participants of the 2018 user group meeting! We will be taking your ideas and putting them together to make a whole new design, which will be used by the presenters at the 2018 user group meeting in Chicago! You can contribute to the new design by suggesting a change to one single element or to the whole design. The user group meeting is being held on 12th and 13th october at the embassy suites hotel in downtown Chicago. Interested in making your own adjustable standing desk? Based on the current design the desk as currently designed costs around $700 to reproduce using the same 20mm linear rails and blocks. This has been calculated based on the materials and components used. Find the BOM here. A more cost-effective version of the design replaces the industrial linear rails with heavy duty cabinet slides, or another captive slide solution. If you make your own standing desk, make sure to tag your media #cncmakeastand and post the pictures to the Vectric forum, we’d love to see what you’ve made!